Hen parties, birthdays and anniversaries are some of the most exciting occasions when all your friends and family come together to celebrate your happy day. The themes and games you choose for the party, not to mention the planning that goes into putting them together, can make the task appear impossible. We can help you overcome the difficulties so you can look forward to that perfect celebration. 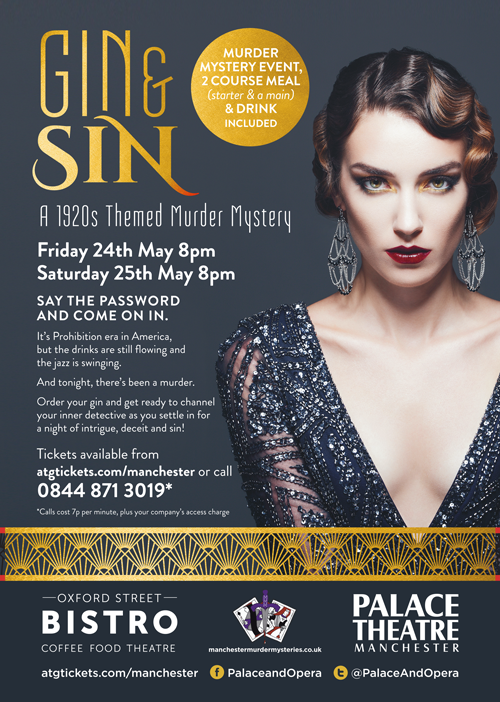 A murder mystery party offers so much more than just a “who dunnit”. It gives you and your friends the chance to take part in something that is truly different. Each murder mystery party has a unique theme and includes games that keep everyone entertained. They also take place in unique and stylish locations selected by a party planning team. We’re here to arrange every last detail of your party so you can relax and look forward to having fun with those you love. Here are the five reasons why we think you should choose a murder mystery party for your special celebration. 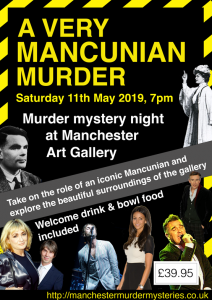 Each of our murder mysteries is written with a strong dose of humour so our guests can let their hair down and enjoy themselves whilst getting stuck into some detective work. 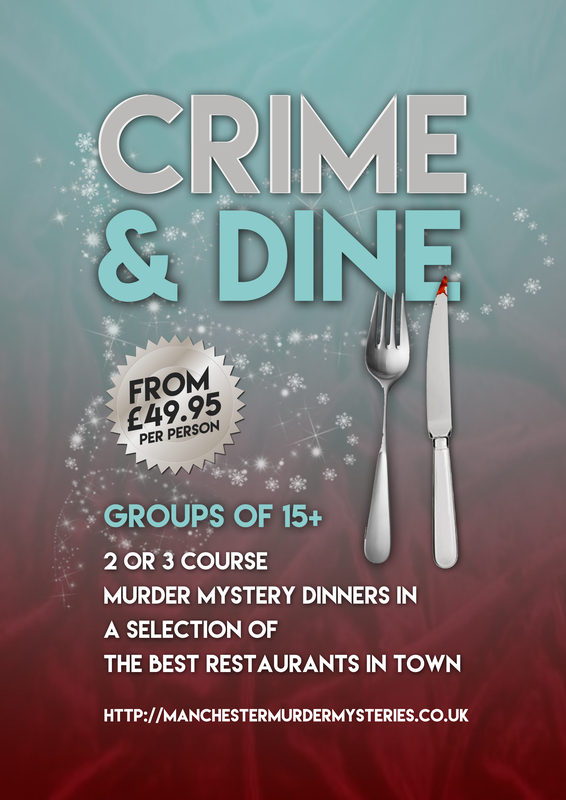 Each murder mystery is written by our in-house team and is exclusive to our company. They are written in a style that considers the needs and interests of our guests, so you can expect a balanced selection of roles to play as well as exceptional quality. We believe the value and most enjoyable part of our murder mysteries comes from everyone having a small role to play in the dastardly tale. Each of you will be given a character, whether that is a suspect, witness, spy, detective or team leader. During the event you’ll have fun playing games, hearing from suspects and listening to witnesses to find out who is the criminal among you. Whether you’d like a three murder mystery dinner, a wine tasting experience, or to enjoy a murder mystery in your very own living room, we are happy to work around you. We have a wide selection of partner venues that can meet any taste of budget. We are also more than happy to come to you at your favourite restaurant, bar or hotel. The aim of our event planning team is to take away as much of the burden involved in organising a special party as possible. From the first point of contact to the time we bid you farewell at the end of your murder mystery, we are here to give advice, take special requests, and offer support. Choosing the right party planner is a huge consideration, especially when you are organising a very special event. Through our years of speaking to panicking maids of honour, stressed out husbands and doting mothers about how important this party is to their loved one, we understand the pressure of the task at hand, and we’re here to help. Our team is more than happy to speak to you today about your plans for a hen party, birthday celebration, anniversary, or any private party you have in mind that you want to make special. 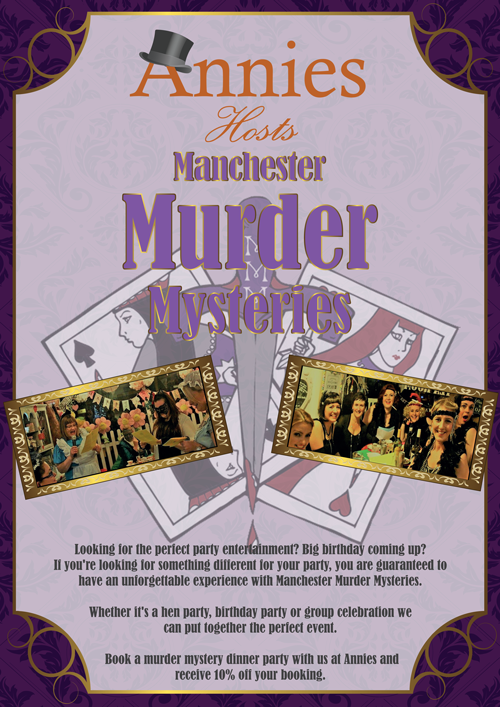 To book a private murder mystery party, please click here for our contact form. Click here for more information our private party entertainment.